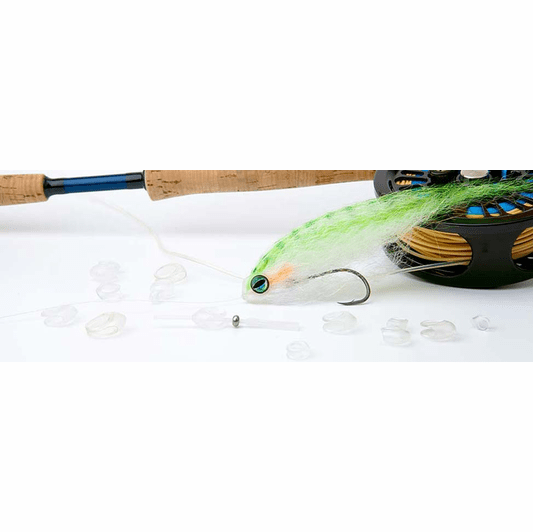 The Pro Softhead makes it simple to tie great baitfish flies without a ton of UV cure to create a head; the Caddis Fly Shop offers prompt shipping, no sales tax, and low cost or free shipping. Are you tired of mixing epoxy, looking for a UV light, getting sticky stuff all over your desk? Then you need to look at one of the latest products from Pro Sprotfisher, you know the guys who revolutionized tube flies. Create small or huge baitfish patterns that last. Simply slide on a micro tube, tie on some Steve Farrar wing material, slip on the Pro Softhead, cut tube, melt, and done. Maybe a little simplified, but still pretty simple.